Roscoe's is the home of John Brandstatter, a gunsmith located in Pueblo West, Colorado. John's clients include professional shooters, law enforcement officers, and dedicated sportsmen throughout the American West. Contact us with any of your gunsmithing needs! A man among men. Always willing to turn a box of parts into a tack driving pistol. His work is top notch and his service is fast. John Brandstatter has been repairing firearms for the customers of Pueblo West Guns & Ammo for nearly five years, and has established a record of excellence and timeliness. 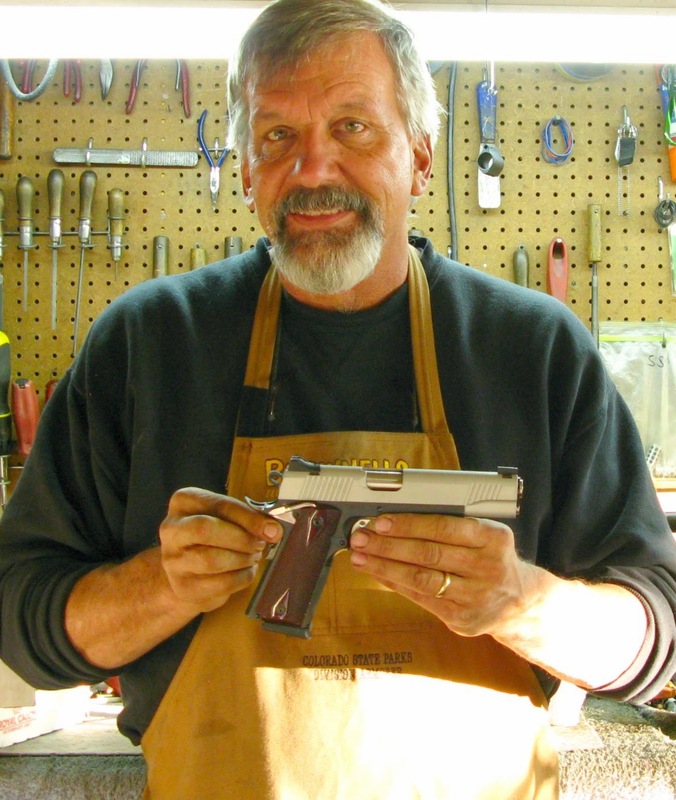 John has a wide range of gunsmithing skills, from simple re-bluing to complex machining. If you want it done correctly, give John a call. I have had Roscoe's build me dozen of custom rifles over the years. They all shoot bugholes and have been used to win many long range competitions. The service I have received has been outstanding, they are fast, friendly and great priced! I was given John's name in 2010 from a friend who has used him for years to build custom rifles and pistols. Since then I've used John for every one of my gunsmith needs, including handguns, bolt rifles, and AR's. John is very knowledgeable. He has excellent workmanship and completes work in a timely manner. John is always available for questions and he offers very fair pricing. He is easy to work with and I wouldn't use anyone else for my gunsmith needs.